Ramblings: Dog days of summer arrive with football, fresh figs and… optimism? Ahhh, so it is August 1 and the proverbial dog days of summer have arrived here in the Lowcountry. Like clockwork, I opened the door this morning to be greeted by what my Dear Hubby describes as, “an all-enveloping blanket of humidity and heat”. Like a burning, slow motion tidal wave, it affects pretty much everything and everyone in its path from now until mid-September. Add to this the low-slung haze and the oppressive daily heat index, and people around these parts either high-tail it for cooler temps, say in the elevations of western North Carolina or Virginia for a week or two, or they simply learn to appreciate the annual scorch-fest known as August. Now, it’s been hot here pretty much all summer – we did have a few days in the 80’s during June – but most days were measured in the high 90’s and last week the thermometer called in sick after registering 110 degrees for three days in a row. Lots of places around the country have been h-o-t and you’d think us Southerners would be “used” to it. 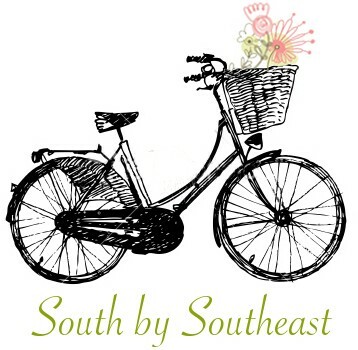 Well, this Southerner is not. Well, if one can find figs, they should be in-season in my area in August. 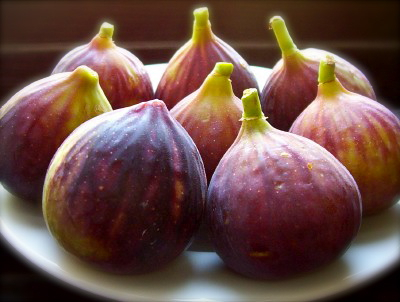 I am in an all-out hunt for local figs now, so “God willing and the creek don’t rise”, in the next 2 weeks or so I’ll have some figgy recipes to share. In my parents yard, there were three fig trees – well, until my good-intentioned father pruned one to death, then we had two. They produced abundant crops of figs, if we could keep the birds (and the neighbors) out of them. My mother always made whole fig preserves, which like chow-chow and other oddly old-fashioned and quirky preserves, was not a favorite of mine until I got older and grew into my taste buds. The common fig (Ficus carica) is native of the Middle East and was one of the first plants cultivated by humans. It was a common food source for the Romans and used to fatten geese for the production of a precursor of foie gras. Fresh figs are one of nature’s most wonderfully tasting foods – if you’ve never had them – or rather, never had sweet, ripe ones – that is a real shame. Obviously running out the screen door and picking them at will off your mama’s tree is preferred, but I have bought decent figs at the farmer’s market since my mama’s yard is not in close proximity. I have also purchased mediocre ones from the grocery store, when my craving for fresh figs was high, my willpower was low, and no fig trees in northern Alabama. Preserved figs are now one of my favorites and next to homemade apple butter, the thing I desire most on my breakfast biscuit. Pureed preserves also make a wonderfully moist addition to spice cake batter and a tasty morsel on the cheese board. 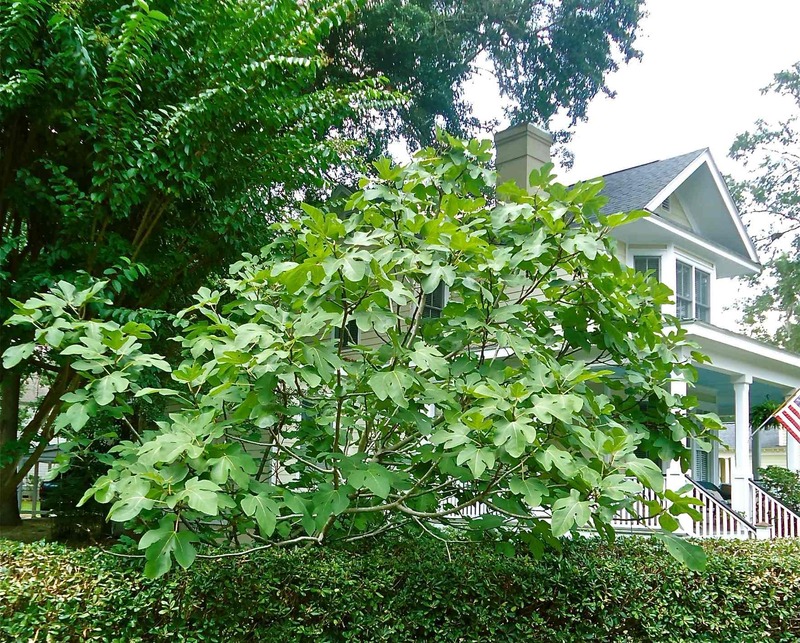 Another detail about fig trees is that they go completely bare during the winter. All the leaves drop and the stark and naked tree is left to over-winter. If one does not realize that it is a fig tree, and have the faith that it will bloom anew in the spring and bear fruit after a long (hot) summer, you would think it’s all she-wrote for that tree. But then, spring arrives and the leaves sprout, buds bloom and if the pruning shears have been left alone, all is well again with that fig tree. Take a bite of a fresh picked, ripe fig and you’ll understand what I mean. It takes all kinds – all types of people, events and things to make the world go round, I suppose – even the dog days of summer.